Not this Chapman, I hope. There is growing confidence in the Los Angeles Dodgers organization that the team will be able to finish a trade for Cincinnati Reds All-Star closer Aroldis Chapman, a source told ESPN's Buster Olney. Fox Sports earlier reported that the sides were progressing on a deal, with sources saying the Dodgers would be sending prospects to the Reds for Chapman, the hard-throwing 27-year-old from Cuba. Los Angeles already has an established closer, with Kenley Jansen recording 36 saves in 2015 and 44 in 2014. And there's the kicker. I'm not sure what the benefit of adding Chapman is; it certainly has seemed like the Dodgers tend to bulk up in areas where we have too many options already (see: outfield). But assembling a team shouldn't be like going to Costco, in that 100 lbs of mayonnaise doesn't mean much if you don't have any bread. Not that Chapman is a bad piece, however. Would be interesting to have him on the staff. Don't we have bigger holes to fill, though? Yeah, I don't get this. 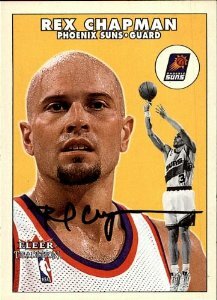 Unless they really do mean Rex Chapman; then it makes total sense. what would be the cost on this? 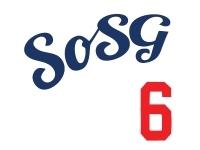 Seager and Urias surely aren't going anywhere. Does that mean Cotton or DeLeon? And now a DV allegation! MLB says trade is up to Reds and Dodgers apparently.